We are still a little tired and exhausted from the ADAC Zurich 24h-Race Nürburgring – but the pit crews, drivers and marshals can only laugh about that. 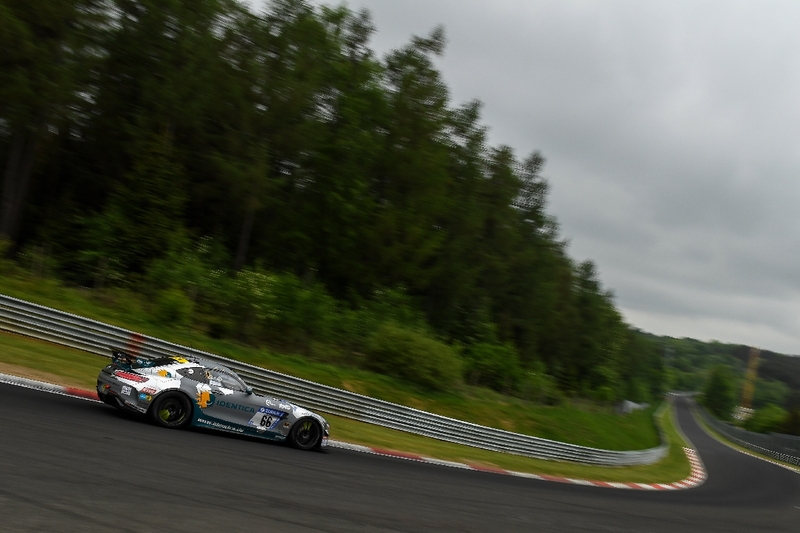 While different media focused mainly on the spectacular position changes in the lead, there was also a lot going on in the 24 classes of the 24-hour Race Nürburgring. Basically, each class was its own 24h-Race. 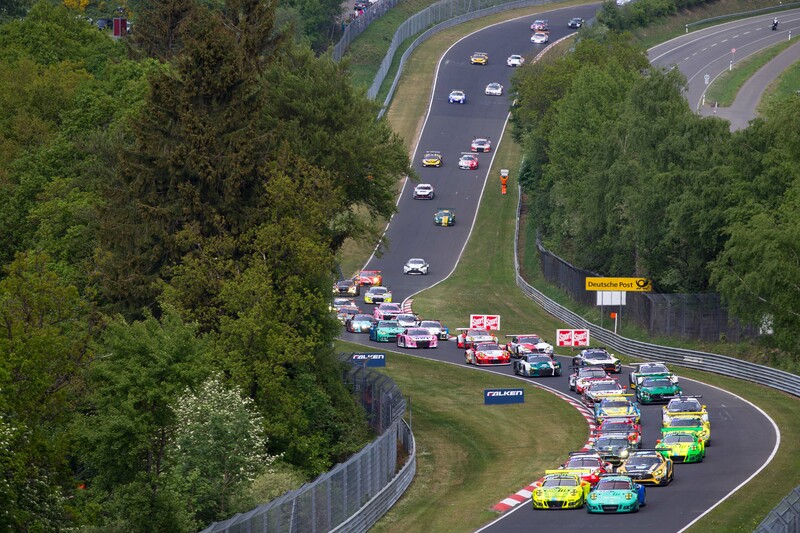 As the toughest long distance race in the world demands both man and material, and the Green Hell always relentlessly takes its tribute, many scoring classes were decimated just like in the previous years. 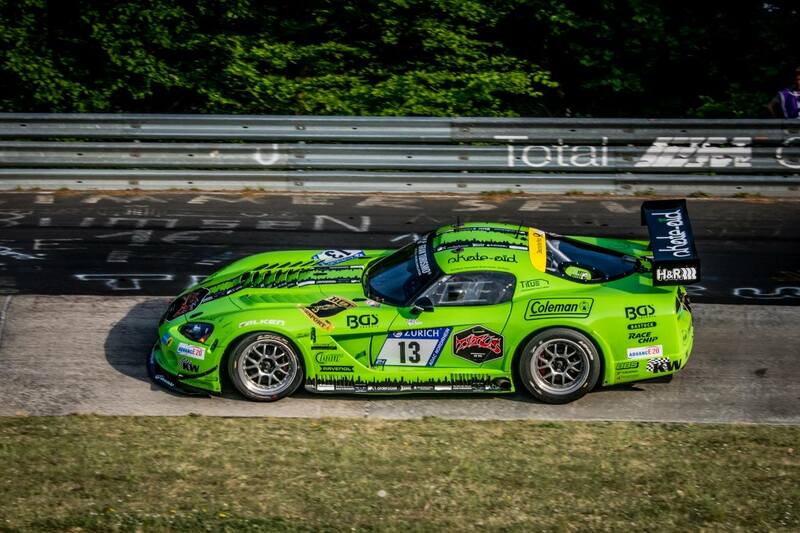 Even the popular “Titus Viper” became a victim of the Nordschleife during the weekend. 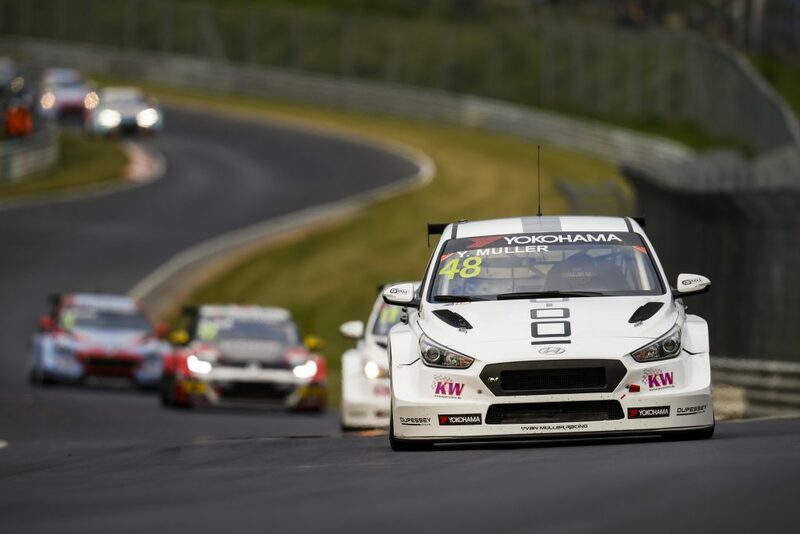 Esteban Guerrieri was leading the second race of the WTCR weekend at the Nürburgring Nordschleife in the Honda Civic Type R TCR of ALL-INKL.COM Münnich Motorsport from the first to the last lap and won ahead of the Nordschleife rookie Pepe Oriola who started from the pole position due to the reverse grid. 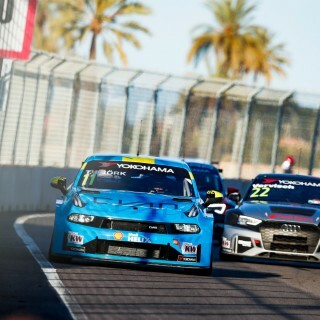 Yvann Muller, who won race 1 on Thursday, is the new top of the WTCR league after finishing race 2 as fourth place and third in race 3. With his Hyundai i30 N TCR, Muller has 19 points ahead of the previous leader Gabriele Tarquini. During the entire long weekend, the KW Truck was again a meeting point for all Nordschleife fans. 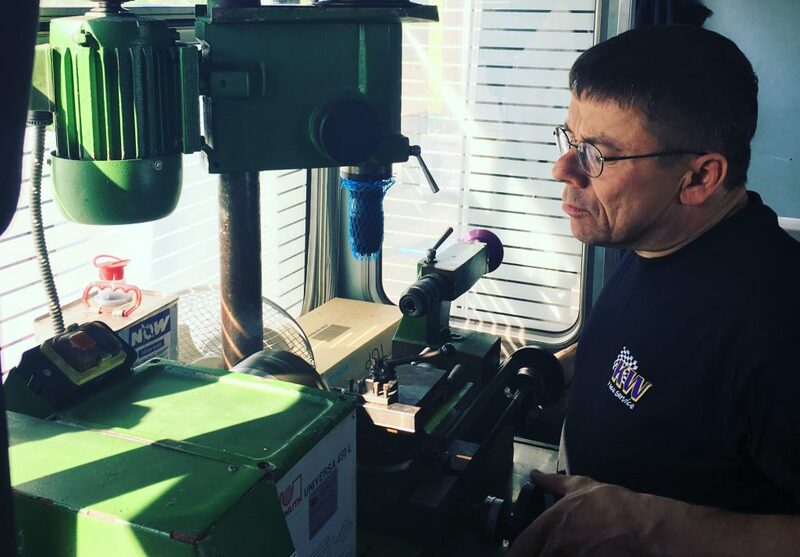 Also the KW Competition Racing Service has set up its mobile service workshop behind our tent in the paddock, in order to support our numerous customers on site. In 2018 we were again able to equip half of the registered starting field with our KW Competition racing suspensions. It is a real masterpiece that out of the 75 customer vehicles in the 24 starting classes, our motorsport customers could achieve 16 class victories. 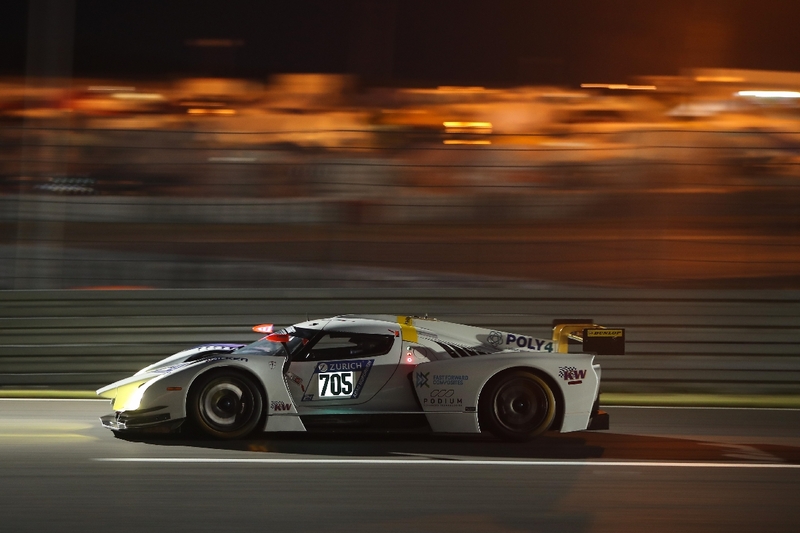 James Glickenhaus, who also competed with his Italian-American motorsport team Scuderia Cameron Glickenhaus and the exotic SCG003c in the prototype class in 2018, has been sponsoring the Glickenhaus Trohpy as a challenge cup already for several years. Already in the “Free Practice” and the Top-30 Qualifying, there were spectacular scenes and the “Glickenhaus Trophy” for the fastest lap – 8:09.105 min – went to the Manthey Racing driver Laurens Vanthoor, who took the first place on the grid with his Porsche 911 GT3 R (#911). 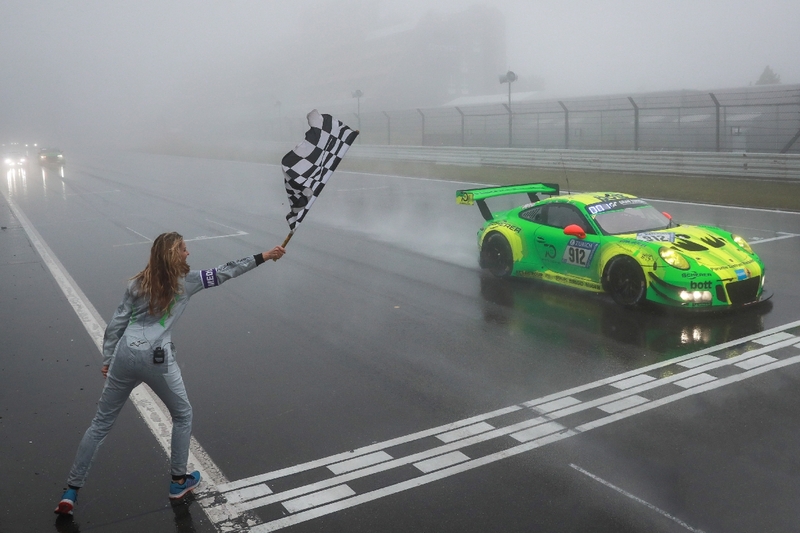 In second and third place were the other 911 GT3 R from Falken (#44 lap time of 8:09.522 min) and Frikadelli Racing (#31 lap time of 8:13.782 min) and so three KW Competition customers took over the leadership right from the beginning. The Care for Climate team scored sensationally at the 24-hour Race with their two Bioconcept cars and in the AT class drove the “Green Racers” of Four Motors and the technical team of W&S Motorsport. 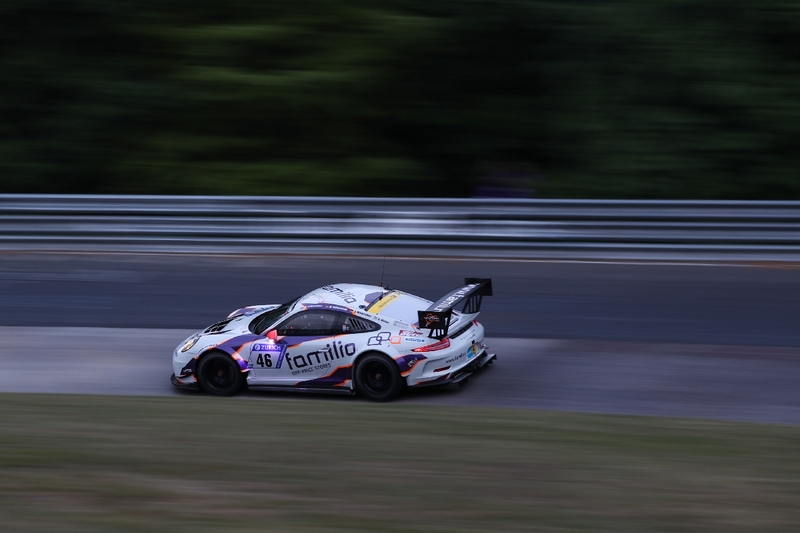 The GT3 drivers Smudo, Thomas von Löwis, Daniel Schellhaas and Axel Duffner not only secured the AT class victory with the second fastest lap of 8:56 minutes, but also a sensational 27th place in the overall ranking and therefore the 9th best place of all Porsche in the field. 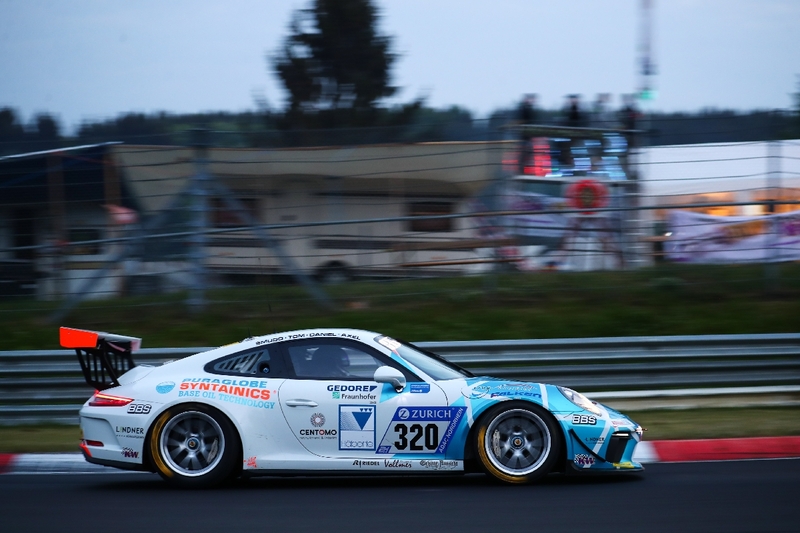 Also the GT4 drivers Charlie Eastwood, Thomas Kiefer, Niklas Steinhaus and Daniel Blickle delivered a top performance and set the second-fastest lap time of all “Caymen” with 9:13 minutes, as well as the 33rd overall ranking and second place in the AT class. 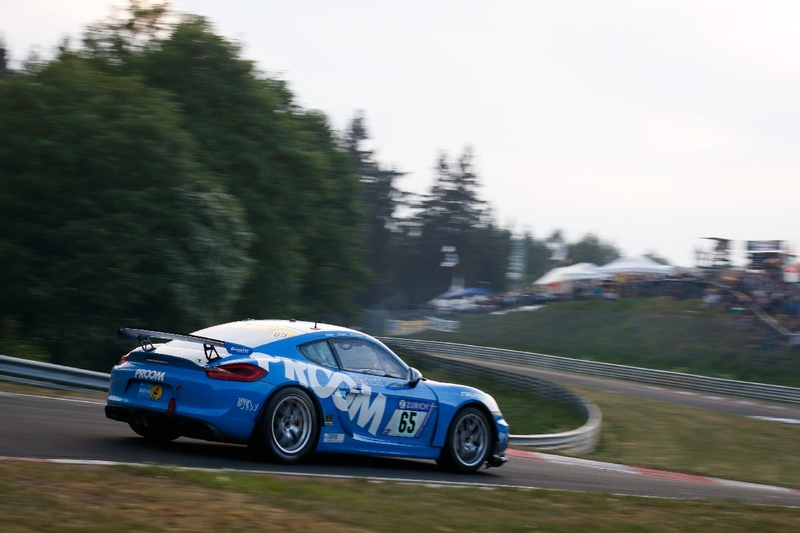 The entire Cup 3 class at the ADAC Zurich 24h-Race Nürburgring started with KW Competition racing suspensions and the “Ride through the Green Hell” was best tackled by Mühlner Motorsport with their Cayman GT4 Clubsport. 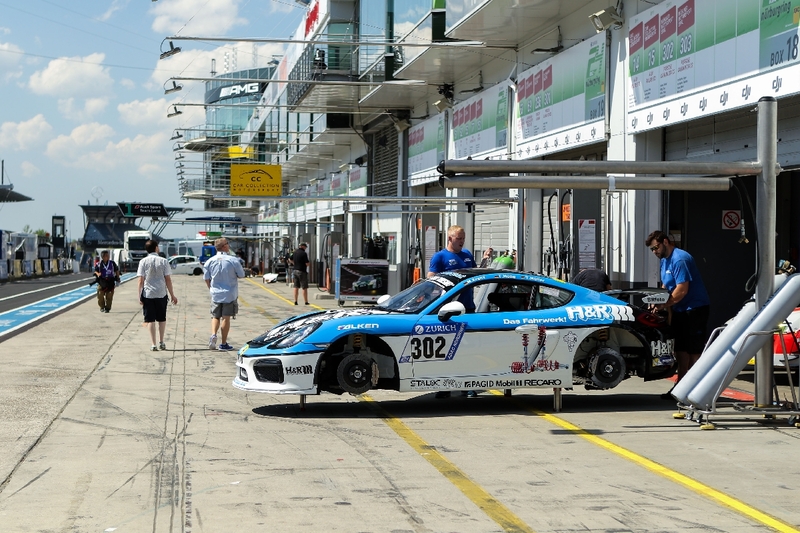 Already in the fifth lap of the race, the Cayman with the starting number 302 and the drivers Michael Rebhan, Timo Möllig, Tobias Müller and Moritz Kranz set the fastest lap in their class with a lap time of 9:11.912. 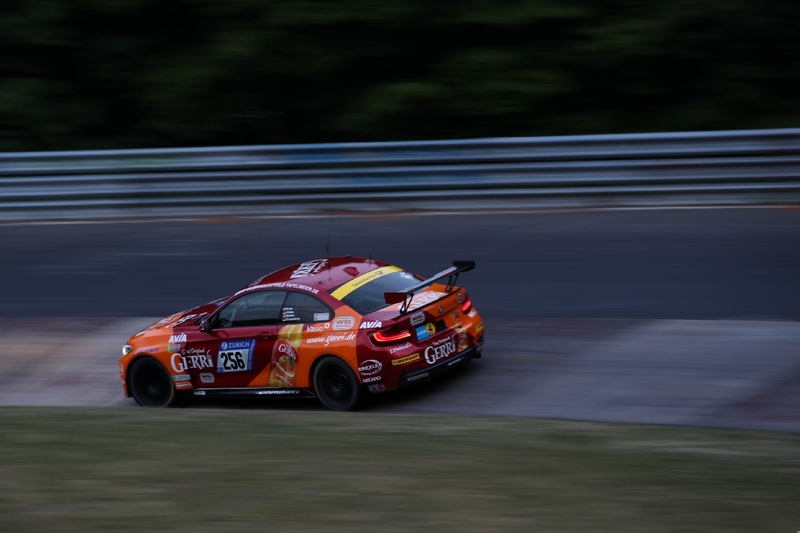 With a lead of 3:49.256 minutes, the BMW M235i Racing by Securtal Sorg Rennsport prevailed in the CUP 5 and so another KW Competition customer team achieved a class victory. The BMW M235i Racing is part of the official BMW customer motor sport and currently one of the most popular racing cars. 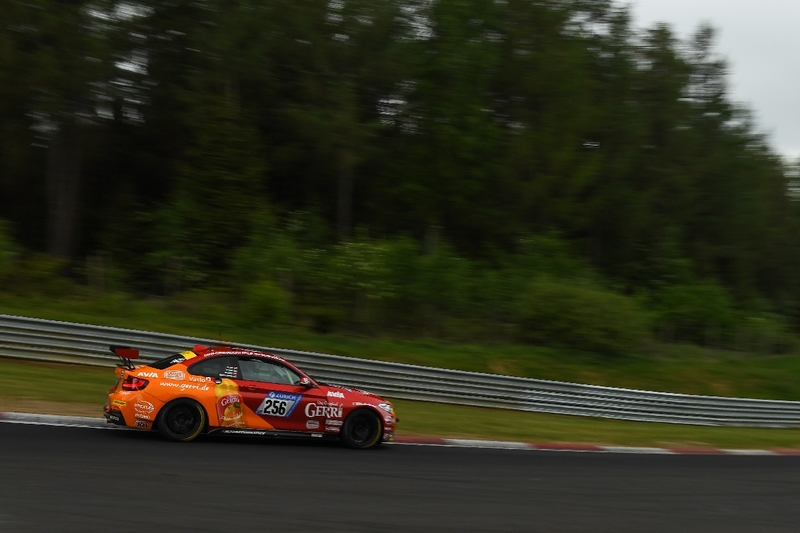 Tristan Vildas, Heiko Eichenberg, Yannick Mettler and Torsten Kranz were driving the BMW that is equipped with KW Competition racing technology. Despite the weather conditions, their average speed was 126,950 km/h and in the third race lap they drove the fastest lap with a time of 9:32.705. 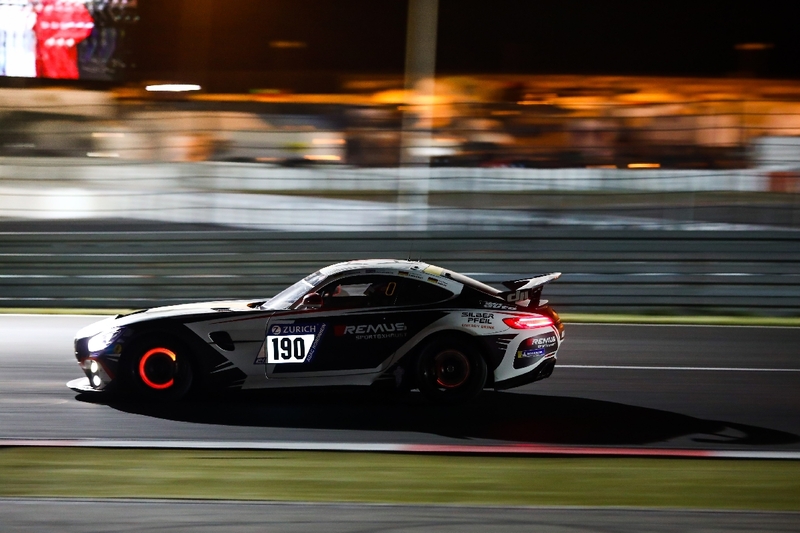 With the new Mercedes-AMG GT4 with KW Competition racing dampers, the Black Falcon Team Identica reached the top place and class victory. 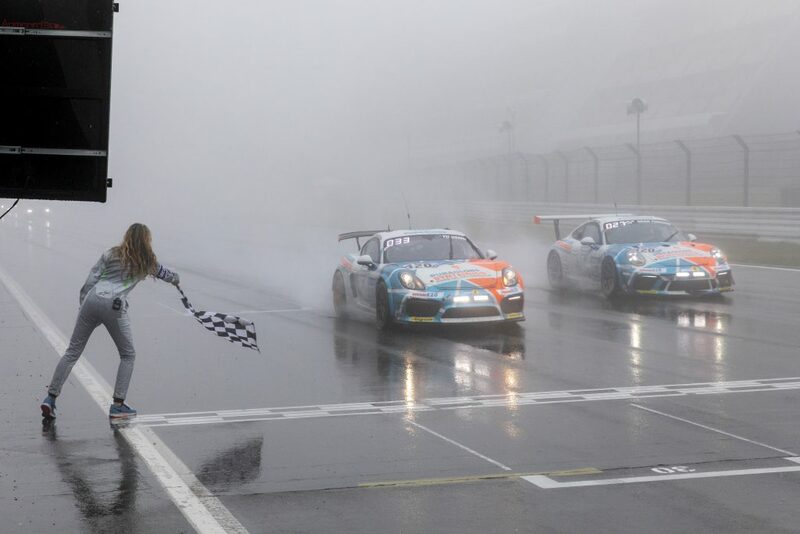 With a lead of three laps, Carlos Gomez, Stefan Karg, Fidel Leib and Kim-Luis Schramm crossed the finish line after 116 laps and were the class winners. In round 11, the Mercedes drivers had a really good flow with their GT4 and ensured the fastest lap time of the SP10 (SRO-GT4) class with 9:15.816 min. 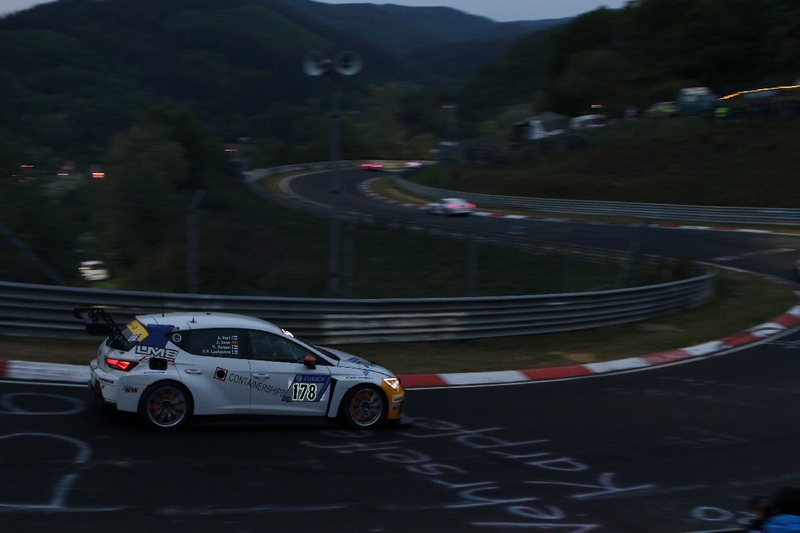 This is only possible at the ADAC Zurich 24h-Race: A Renault Clio RS Cup challenges the big ones and masters the Green Hell. With an average speed of 117,298 km/h, Stephan Epp, Gerrit Holthaus, Tobias Overbeck and Daniel Overbeck “hit” the RS over the “ups and downs” of the Nordschleife. 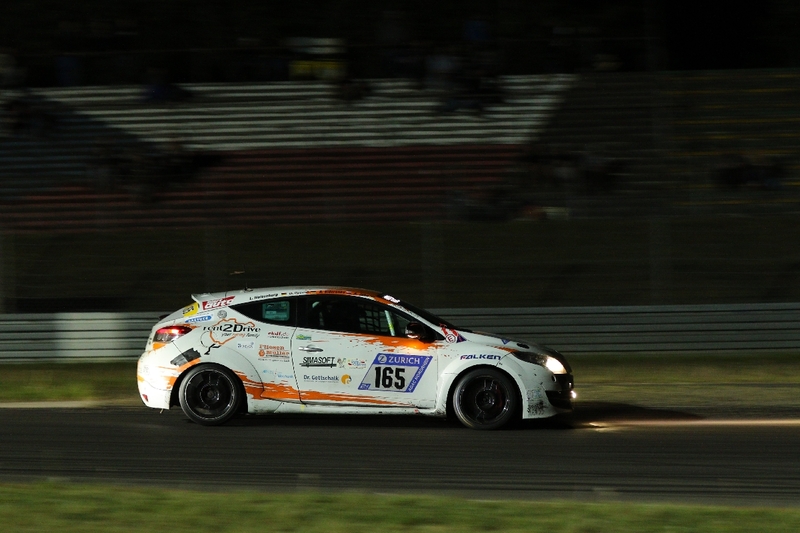 The Clio with its KW Competition racing suspension even managed to gain a lead of two laps in its class and therefore won the SP3 class in a sovereign manner. A single fighter in the class SP4T was the VW Golf 5 R-Line GTI of the Motorsportclub Sinzig, and the GTI achieved a safe class victory. 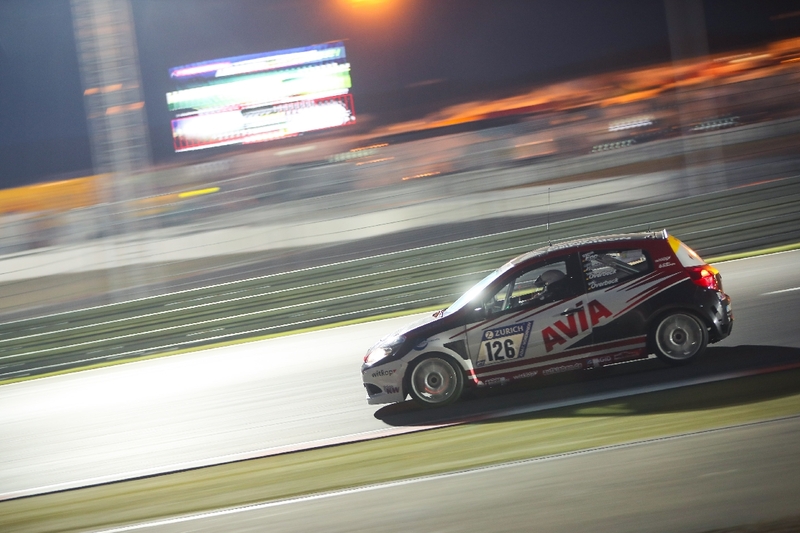 The drivers of the GTI equipped with a KW Competition racing suspension were the four pilots Jose Visir, Eduardo Romanelli, Benjamin Decius and Achim Ewenz. Their fastest race lap was the 46th with a lap time of 10:15.532 min. 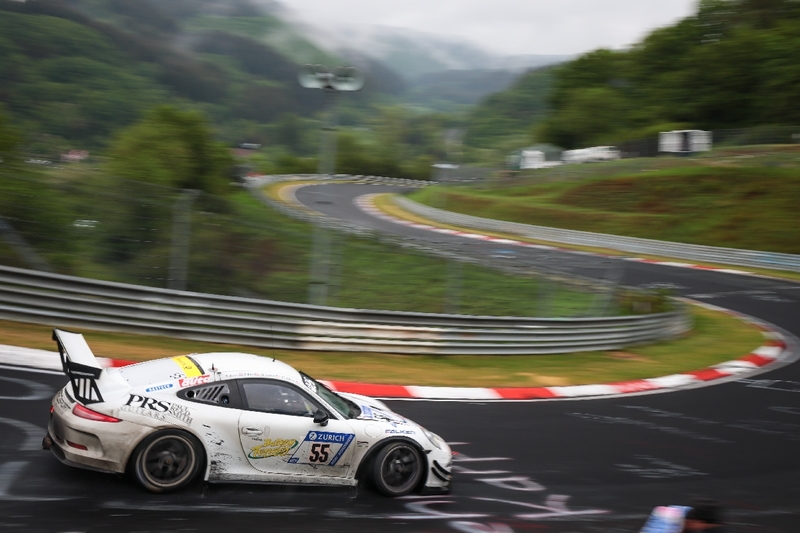 Our former colleague and Speedhunter Michael Grassl fought his way through the Green Hell in a Porsche Cayman GT4 Clubsport together with Volker Wawer, Achim Wawer and Rob Thomson. 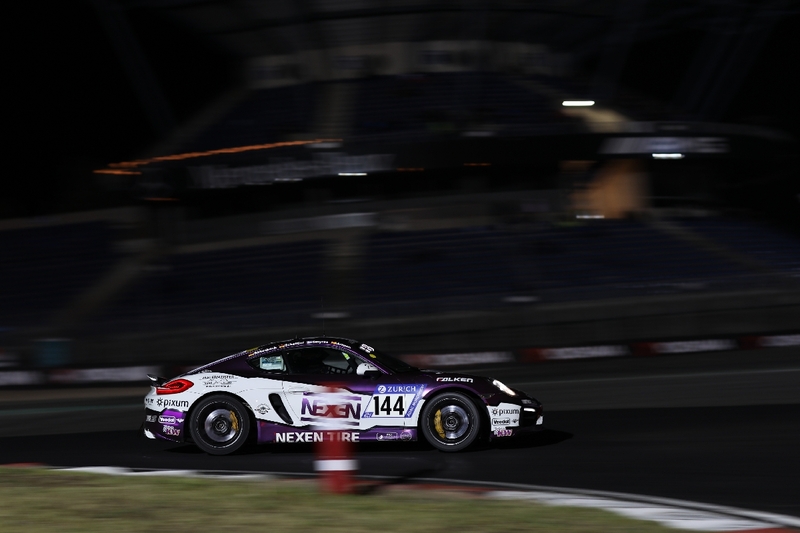 At the end, the Cayman crossed the finish line with two laps ahead and was able to defy the sporting attacks of his pursuers. In the SP7 class, of course there was a lot going on during the entire race, just like in the other classes. Not to forget that also the GT3 cars still made their way through the entire starter field and might suddenly appear in the rearview mirror. 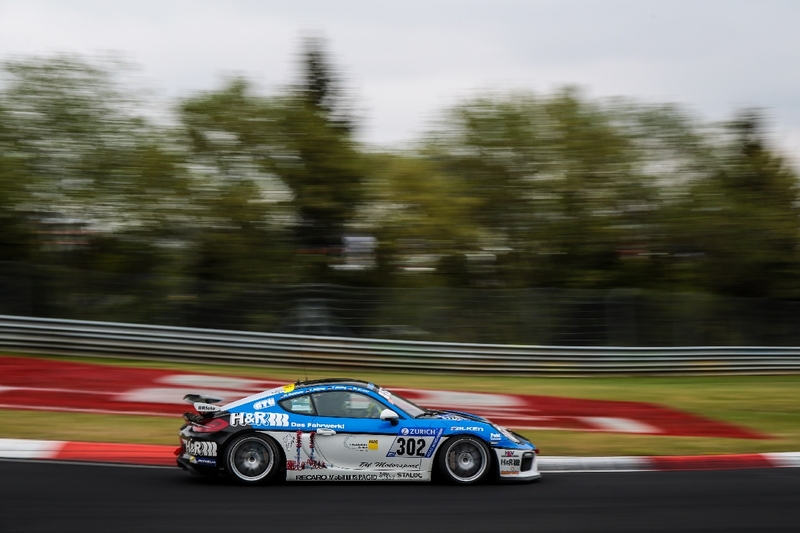 Despite all adversities and with a strong chasing field at the rear apron, the Porsche 911 GT3 Cup by Prosport Performance prevailed in the SP7 class. At the steering wheel of the Porsche were the four drivers Charles Putman, Charles Espenlaub, Joe Foster and Xavier Maassen. Their average speed during the entire distance was 130,152 km/h. 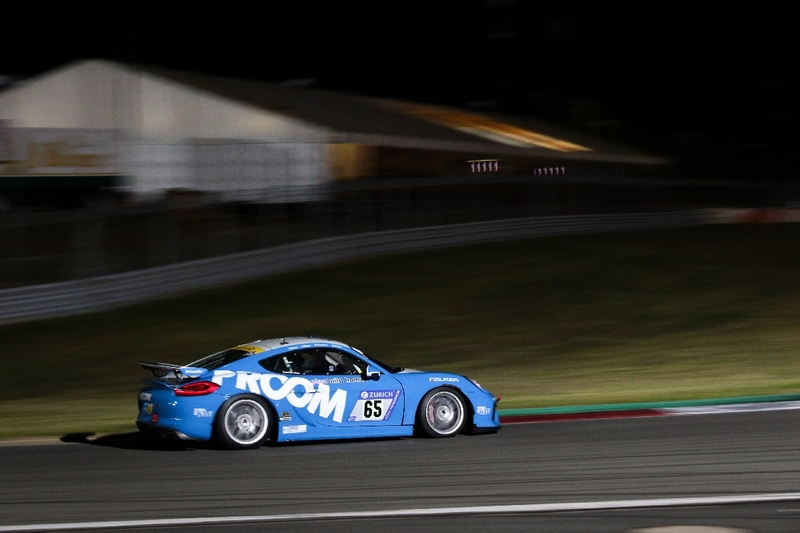 The KW Competition customer team rent2Drive-Familia-Racing started in the class SP8 with a current Porsche 911 (991) GT3 Cup MR and was able to achieve a class victory with three laps ahead. Right after the start, in the second round, the Cup Porsche flew over the Nürburgring overall track with a lap time of 8:57.652 min. 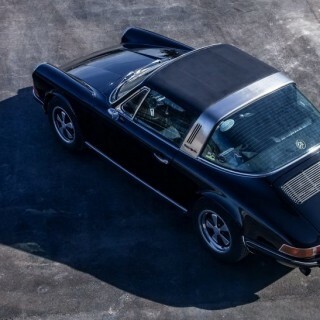 The 911 equipped with a KW suspension was driven by David Ackermann, Dmitriy Lukovnikov, Csaba Walter and Jörg Wiskirchen. Right in the middle of the action was the legendary DTM and Mercedes pilot Bernd Schneider. 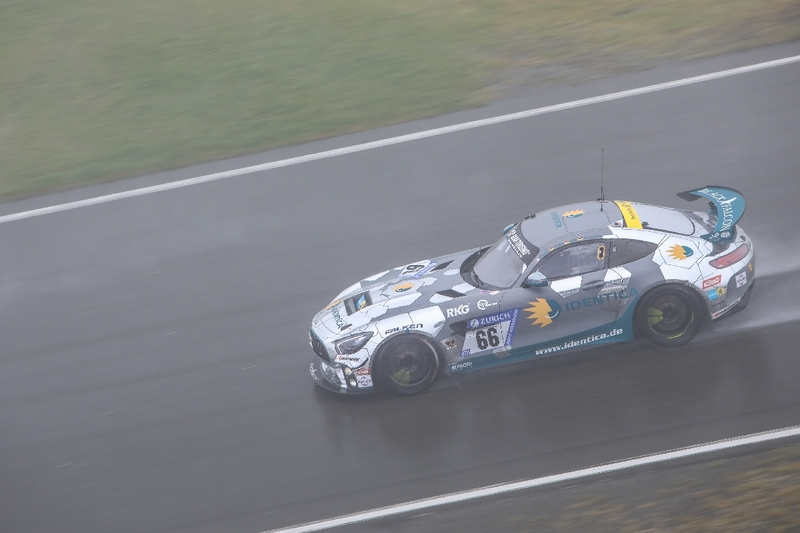 Together with his fellow drivers Christian Gebhardt, Patrick Simon and Jethro Bovingdon, the AMG GT prevailed in the SP 8T class. With their Benz, the four managed a lead of nine laps ahead over the distance and reached an unchallenged class victory. By the way, we as suspension manufacturer have the homologation for the Mercedes-AMG GT4 and the Mercedes will be an interesting model for the factory customer motorsport of Mercedes in the upcoming years. In the VLN Endurance Cup and in the 24h-Races, the SCG003C is a motorsport exotic and has long won the hearts of the Nürburgring fans. 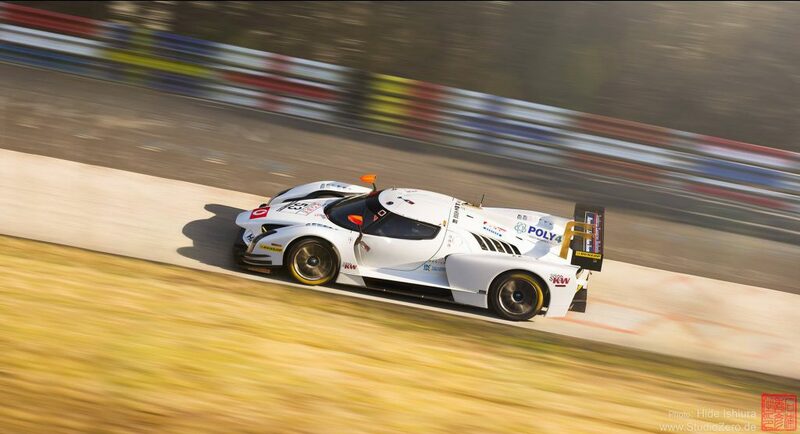 For several years, the racing team Scuderia Cameron Glickenhaus starts in the Eifel. The race car is a thoroughbred prototype car and team owner James Glickenhaus is an absolute motorsport enthusiast who has a penchant for historic winning cars, he is collecting and even driving them. 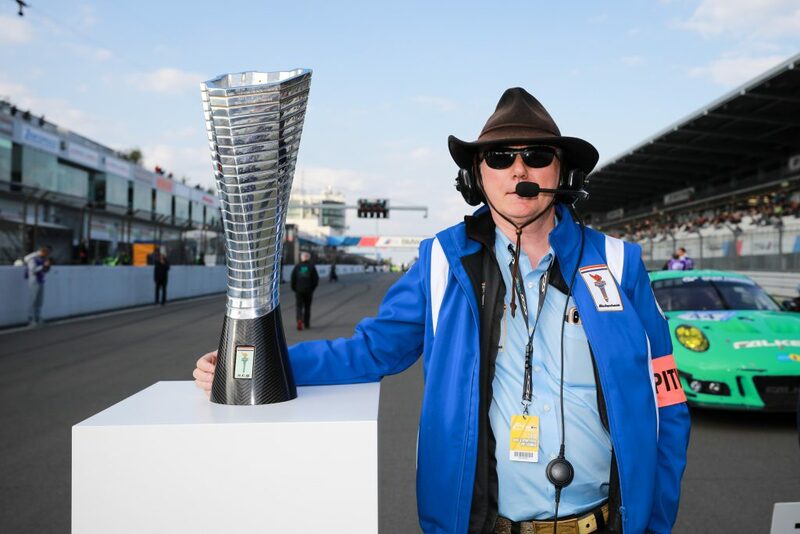 Already in 2011, he realized his dream with his P4/P5 by Pininfarina based on a Ferrari and sent a car into the starting grid of the 24h-Race on the Nürburgring. Since 2015, his SCG003c is regularly in the Green Hell. 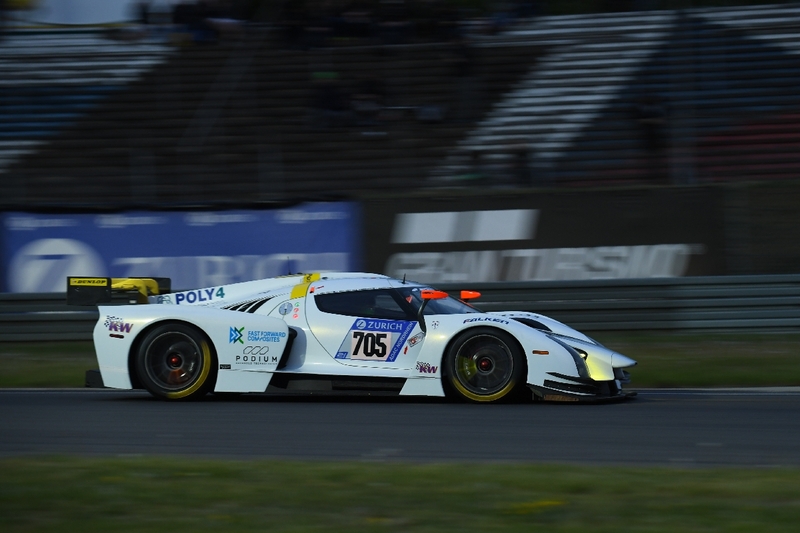 In 2018 only one “Glickenhaus” was at the start and with a lead of two laps, the SCG won the SP-X class before the GTronix 360 Team mcchip-dkr Renault R. S.01, which is also equipped with a KW Competition suspension. 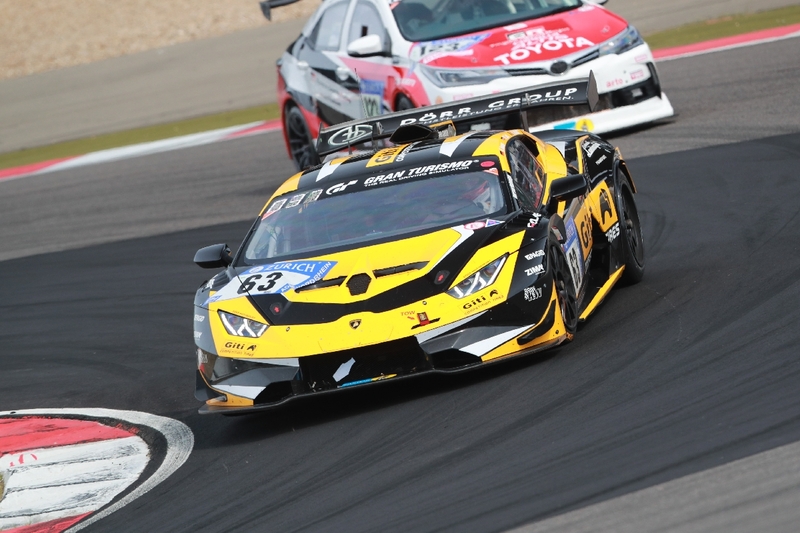 Dörr Motorsport started together with Giti Tire with two Lamborghini Huracan Super Trofeo in the Class SP Y. Marc Basseng, Manuel Lauck and Nico Verdonck reached the finish after 107 laps. The fastest lap of the Lamborghini was in round 22 with a time of 8:54.864 min. 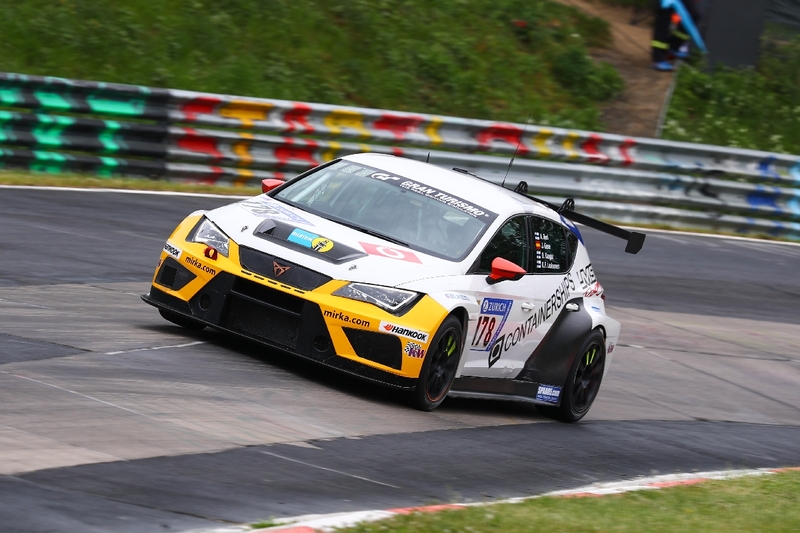 At the beginning, no one had the Spanish-Finnish driver quartet Jordi Gene, Olli Kangas, Karl-Pekka Laaksonen and Antti Burri on the screen in the TCR class – initially the Hyundai race cars dominated in the free practice of the TCR class. 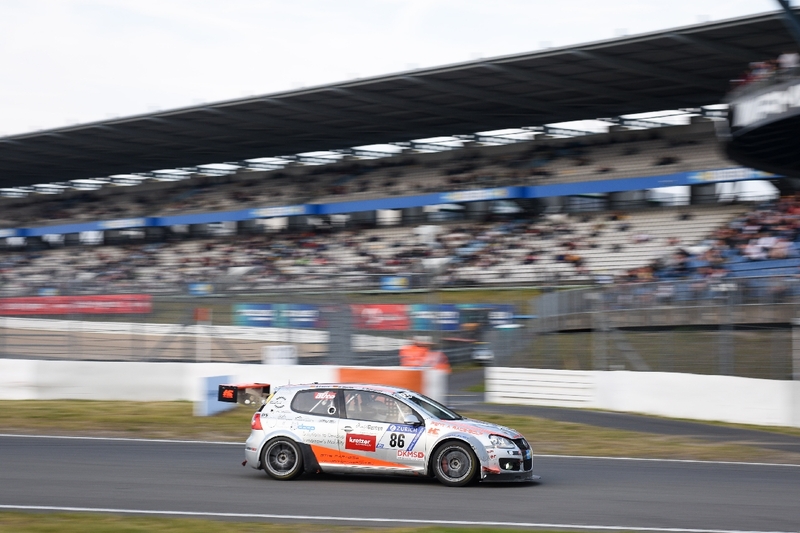 In the course of the race, the Seat equipped with a KW Competition suspension trumped up – already in the previous years, different Seat TCR-Teams (Mathilda Racing) had very good experiences with our racing dampers – and prevailed against the heavily occupied Hyundai i30N TCR. The LMS Racing by Bas Koeten Racing Seat finished with one lap ahead. The Pixum Team Adrenalin Motorsport left with a class victory in the V5 class. 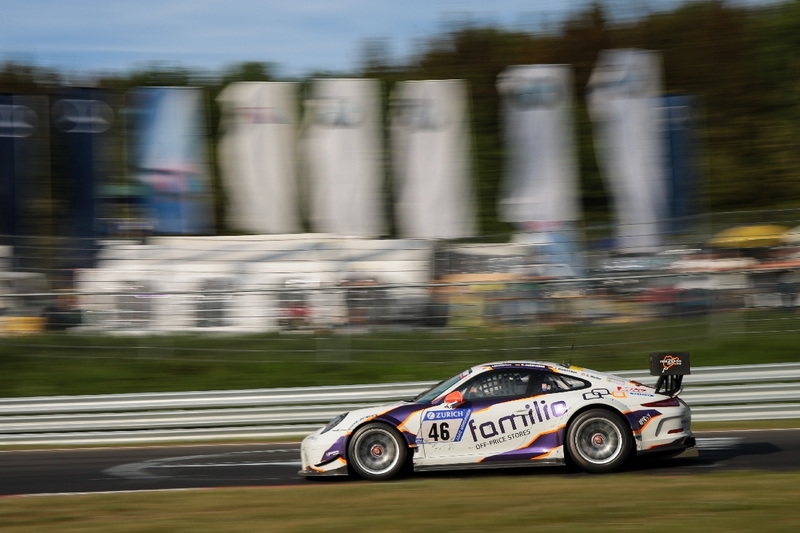 Christian Büllesbach, Andreas Schettler, Ioannis Smyrlis and Carlos Arimon prevailed with their Porsche Cayman. 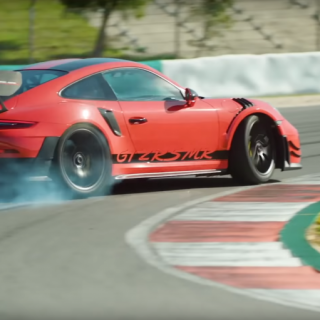 Their fastest lap was driven by the driver quartet in the tenth round, burning a lap time of 9:57.826 min into the tarmac with their “close-to-production” racing car in the production car class. 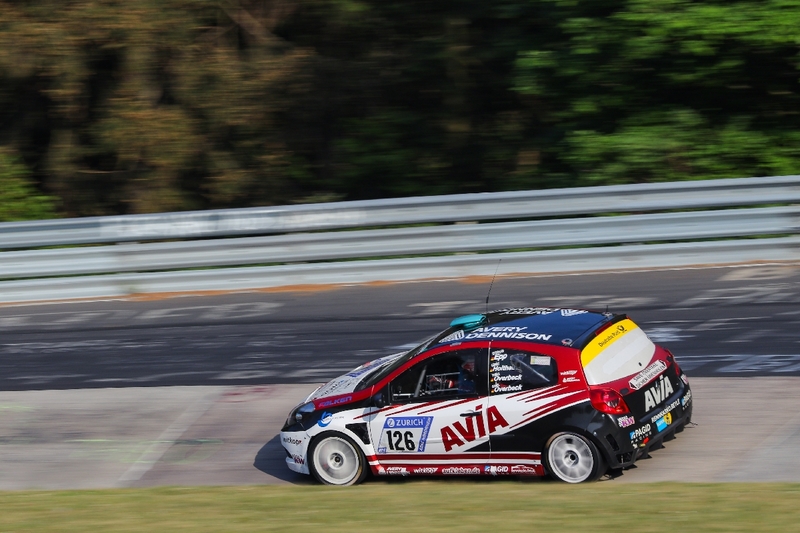 Also in the class V2T, Rent2Drive-Familia-Racing won a class victory. 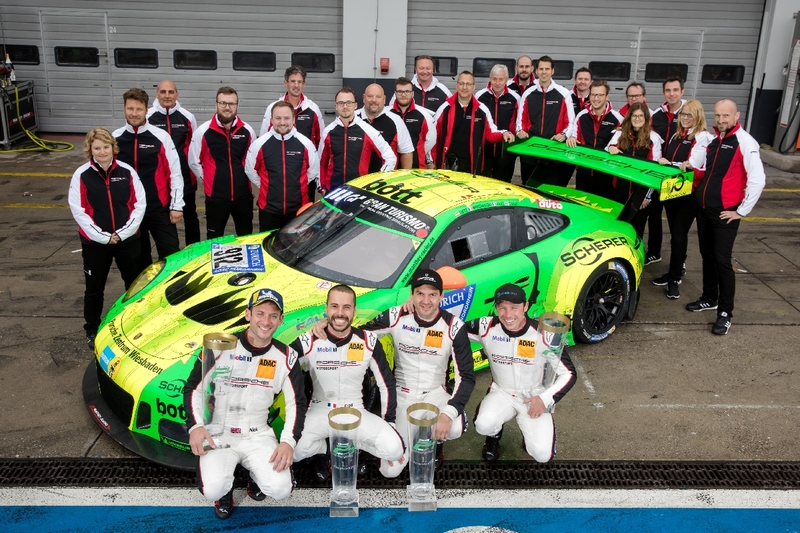 After their success in the SP8, the team celebrated also a second class victory at the Nürburgring. 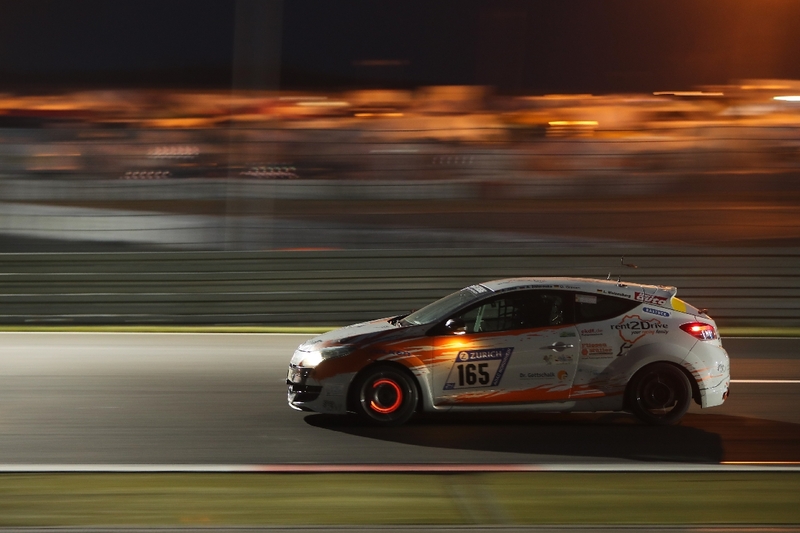 The Renault Megane RS was fastest in the 40th round through the heavy traffic of the 147 starting racing cars. The RS needed 10:23.982 min. The steering wheel shared the four drivers Axel Jahn, Lutz Wolzenburg, Andrei Sidorenko and Oliver Greven. 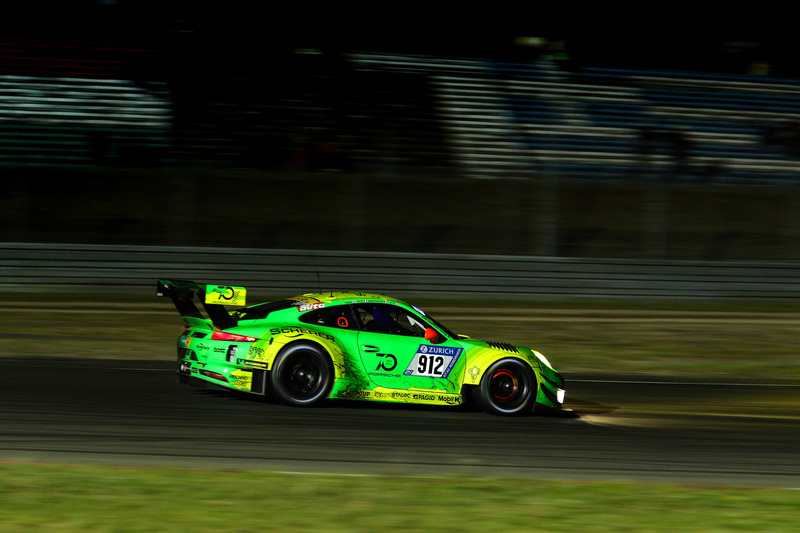 With the starting number 912, the Manthey Racing Porsche 911 GT3 R had to jump into the breach of the GT3 R with the starting number 911 that was leading and accidentally injured at night, but the drivers quartet Richard Lietz, Patrick Pilet, Fred Makowiecki and Nick Tandy managed a real masterpiece. Although the number 912 even had to return into the pit lane right after the first lap just before the entrance to the Nordschleife, because there was something wrong with the tire pressure. 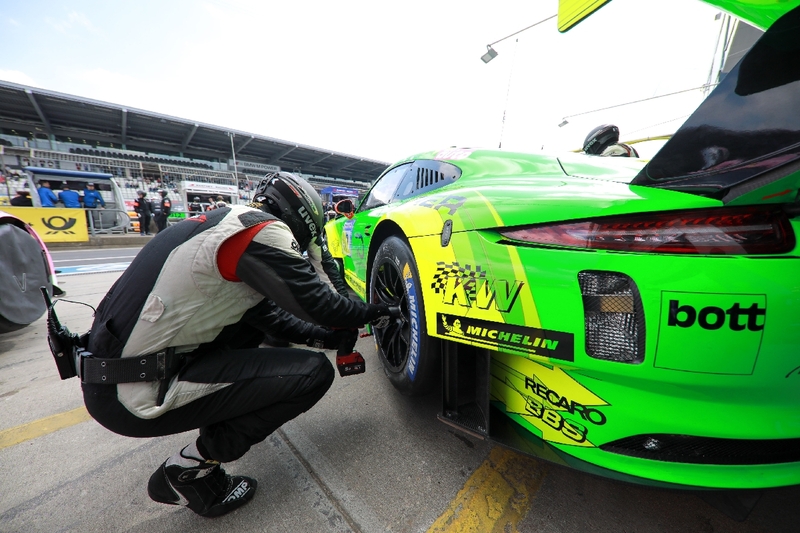 The Manthey Porsche had fallen back to the 90th overall place due to this unplanned pit stop. At the end of the race, there was an impressive cat-and-mouse game between the leading Mercedes and the Manthey Porsche, which the Porsche 911 GT3 R actually won around 1:11 hours before the end of the race. After the victories in the years 2006, 2007, 2008, 2009 and 2011, this overall victory was already the sixth for Manthey Racing on the Nürburgring Nordschleife – a record that no other racing team in the Eifel has ever managed. 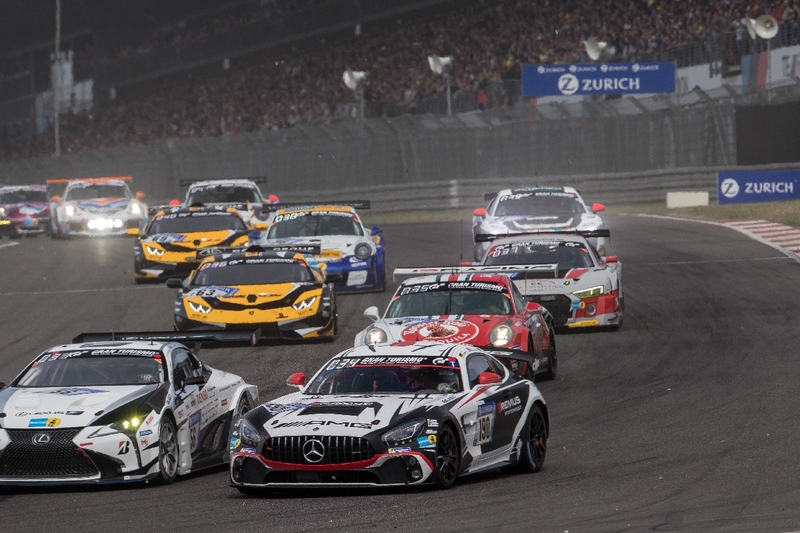 With this year’s overall victory, we as the suspension supplier are already celebrating our seventh overall victory in the ADAC Zurich 24-hour Race Nürburgring. 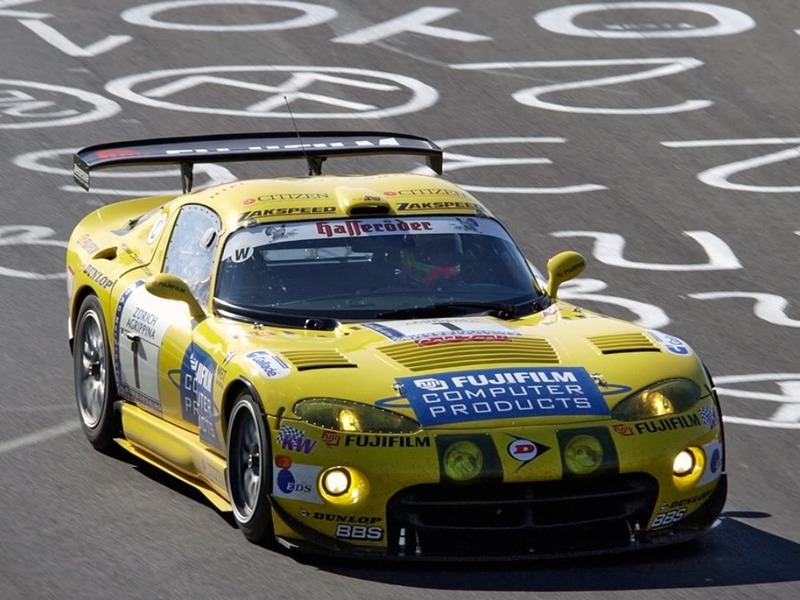 Sixteen years ago, we celebrated our first victory in the toughest endurance race in the world together with the Zakspeed Viper. The fact that of 75 customer vehicles in 24 starting classes our motorsport customers could actually achieve 16 class victories, is a real masterpiece. But even more important to us as a suspension manufacturer is the fact that with our wide-ranging racing program, we can provide every team, from the GT3 team to the countless dedicated private teams with their close-to-production-cars, we can deliver the important technology for a successful motorsport use. See you latest at the next VLN race.